­Syria, Glazebrook says, is the only link keeping Western powers from dominating the region, which is why the anti-Assad coalition is sending weapons and funding the “proxy war” through Saudi Arabia and Qatar. We see how the Western-trained and sponsored militia on the ground in Syria has responded. They’ve responded with a wave of bomb attacks over two days in Damascus. The crucial point is that the West does not want to see a peaceful resolution to this conflict. It wants to destabilize, that is the name of the game. They do not want a peaceful resolution. They don’t want any compromise, because what are their main strategic aims? Remember, their main strategic aim is to destroy Syria as a functioning independent state, because at the moment Syria is part of the alliance with Iran and Hezbollah. Now, Hezbollah’s independent existence, which was shown by Hezbollah’s defeat of Israel in 2006, that is the one thing protecting the Palestinians from Israel just unilaterally imposing some kind of once-and-for-all ‘peace deals’ on the Palestinians that would condemn them forever to living in little cantons in a sea of Israeli settlements – the one thing preventing Israel from doing that is the existence of Hezbollah, the arming of Hezbollah by Iran and Syria. Nasrallah, the leader of Hezbollah himself, said that Syria was crucial in the 2006 victory by Hezbollah against Israel. So the West is determined to keep this war going, to destabilize Syria, to make sure that they cannot any longer play the role that it has been playing in supporting the Palestinians and preventing a successful Israeli attack on the Palestinians, on Lebanon and on Iran. Once Syria falls, the hope is for the West and for the Zionists that they will then have a free hand to go and implement, to go ahead and roll out, that program of a final solution for the Palestinians, destruction of Southern Lebanon, destruction of Iran. Syria is a kind of link that so far is preventing that. They do not want a peaceful solution. RT: With Washington now pledging $45 million worth of extra support to the rebels, how much longer can the opposition keep up the fight without direct foreign intervention? DZ: We have to get over the idea that there is no foreign direct intervention. There is a foreign direct intervention already now – and there has been for many, many months. There were groups on the ground calling themselves part of the Free Syrian Army, but there are entire units made up of Libyans, of Lebanese, of people from Jordan, of people from Saudi Arabia. They have been armed and also equipped and trained by the SAS and by the CIA, at camps in Turkey. In fact if the situation in Libya – the war in Libya last year – is anything to go on, from what we know happened there, they were probably under the direct command of British and US Army officers. So I do not think it’s true to say that the current situation is one without direct foreign intervention. The other thing to bear in mind, the $45 million of aid from the US is just the tip of the iceberg. Most of the weapons and the funding for the West’s proxy war against Syria is being channeled through Saudi Arabia and through Qatar. Now, just Britain alone for example, last year provided £1.75 billion worth of weapons to Saudi Arabia, and much of it is now ending up in the hands of these proxy militias. So that $45 million figure is actually just the tip of the iceberg. And it is very tricky that the US and Britain, and Britain in particular, often says it is just providing non-lethal equipment: communications equipment, night vision goggles, this kind of thing. But it is providing weapons, but it’s just doing it through third parties. The question of how long this war can go on is a good question. It is not clear. They can’t really win these rebel groups, because they don’t have the support of even most of the anti-Assad forces. As I have mentioned, the main peaceful opposition group does not really support the strategy of the Free Syrian Army, does not support the Syrian National Council and in the key cities of Aleppo and Damascus, which is where more than half of the Syrian population live. Most of the population is behind the government, supports the government. A couple of weeks ago, a Free Syrian Army Officer admitted it himself, saying that ‘the problem for us here in Aleppo is that 70 per cent of the population supports Assad,’ and it has always been that way. So they can’t win with that lack of popular support. Unfortunately, because they’re getting this huge flood of weapons from the outside, they can continue to destabilize. That is, unfortunately, they may be able to keep the war going for some time. It does not mean that they’re actually going to be able to win. A court in Tehran finds London-based Reuters news agency guilty over a report describing a group of female Iranian martial artists as “assassins,” Press TV reports. A jury member at a Tehran penal court told Press TV on Sunday that the news agency was found guilty of propagating against the Islamic Republic and disseminating false information to disturb public opinion. The court is supposed to issue its ruling in October. Reuters can appeal the verdict. Reuters appeared in a court hearing in Tehran on Sunday after young Iranian girls training in Ninjutsu filed defamation charges against Reuters in February for describing them as killers-for-hire. Reuters showed a number of Iranian girls training in martial arts in a city near Tehran, claiming Iran was training more than 3,000 female ninjas to kill any possible foreign invaders. The distorted Reuters report was picked up by other British media outlets. The news agency also accused the Iranian government of training assassins. The martial artists filed a lawsuit against Reuters shortly after the report became viral on the Internet. Following the strong reaction of Iranian media to the report, Reuters made changes to parts of the report after a long delay. It refused to apologize for slander. [T]wo Azeri former military officers with links to serving personnel and two Russian intelligence sources all told Reuters that Azerbaijan and Israel have been looking at how Azeri bases and intelligence could serve in a possible strike on Iran. “Israel has a problem in that if it is going to bomb Iran, its nuclear sites, it lacks refueling,” Musabayov told Reuters. “I think their plan includes some use of Azerbaijan access. “We have (bases) fully equipped with modern navigation, anti-aircraft defenses and personnel trained by Americans and if necessary they can be used without any preparations,” he added. The same skepticism applies now as applied with the Foreign Policy piece: it’s very hard to imagine what Azerbaijan would gain from participating in an Israeli strike on Iran. Azerbaijan has its own serious problems with Iran, but they’re pretty separate from Israel’s and have little to do with the nuclear program. And participating in an Israeli attack would just open Azerbaijan up for retaliation, for which Baku is not at all prepared. What could be worth it to Baku? This is 100 percent speculation, but what if Israel were able to provide something totally game-changing vis-a-vis Nagorno Karabakh? Taking Karabakh back from the Armenians who control it now is Azerbaijan’s top priority by far, and Baku may find it worthwhile to risk Iranian retaliation if it could get Karabakh. I have no idea what that game-changing something Israel might be able to provide, but it’s the only way I can see this making any sense. No doubt we’ll hear a lot more about this. Egypt may take part in an Arab military intervention in Syria, provided this does not open the door to Western intervention, a political adviser to Egyptian President Mohammed Mursi told Turkey’s Anadolu news agency Saturday. “We are in principle ready for an Arab intervention in Syria after the limits, goals and features of that intervention are made clear,” said Saif Abdel Fattah. In a speech before the UN General Assembly Tuesday, Qatari Emir Sheikh Hamad bin Khalifa al-Thani called on Arab states to intervene militarily in Syria, citing an Arab-league backed intervention during Lebanon’s civil war as an “effective and useful” precedent. Analysts have since warned that such a move could trigger a counter-intervention from Iran, sparking an even wider regional conflict. Abdel Fattah went on to say that Egypt may pressure Turkey to put the Qatari proposal into effect. He added that Mursi would be discussing the issue with Turkish prime minister Recep Tayyip Erdogan during his visit to Turkey Sunday. Turkey is an ardent supporter of military intervention in Syria, and has pushed the UN Security Council to impose a no-fly zone over the country. The proposals have been repeatedly shot down by China and Russia. A while ago, caricatures began to appear on the internet showing the Egyptian president, Mohammed Mursi, prostrating before the International Monetary Fund (IMF). The artists were inspired by his request for a $4.8 billion loan to revive the Egyptian economy, which has been in recession since the beginning of the revolution. More recently, the media has been discussing “news” of an offer by the European Union of a $1.29 billion loan, if Egypt secures the IMF loan. These loans are usually conditional and are intrinsically tied to a series of economic policies, such as lifting state subsidies on some basic commodities and liberating the markets. In the past, implementing these policies has led to the outbreak of popular protests in Egypt as well as in other poor countries. This is why some activists in the field of social justice call the IMF the poverty, deprivation and debt makers, keeping Third World countries under the hegemony of rich countries. The loans also come with political conditions to do with the government’s position on “Israel” and good neighborliness. Observers in the field of development are wondering whether Egypt under the Muslim Brotherhood will take the same economic path as Hosni Mubarak’s regime despite their talk of social justice and combating poverty in the latest elections. Resorting to conditional loans may be dictated by the reality of the Egyptian economy in a world which is suffering from consecutive financial crises. It may even be marketed as political realism. But some are wondering about the limits of this realism, particularly when the Egyptian prime minister, Hisham Qandil, announced that Egypt will not cease economic and industrial cooperation with “Israel,” in reference to the qualifying industrial zones that make Israeli-Egyptian products in every corner of Egypt. OCCUPIED JERUSALEM — A Palestinian committee in occupied Jerusalem warned against the decision by the Israeli municipality of West Jerusalem to confiscate 1,800 meters of the southern land of the Bab al-Rahma Cemetery in Jerusalem, and considered it a new aggression on Waqf and holy sites. The Committee of Bab al-Rahma Cemetery in Silwan in occupied Jerusalem stated in a press statement that the Israeli occupation is violating the sanctity of Muslim and Christian holy sites in Jerusalem through attacking mosques, churches and other places of worship, as well as through attacking the dead in their graves. The committee warned against the danger on the holy city and towns and Al Aqsa Mosque especially after the escalating Israeli Judaization plans that aim to erase its Islamic and Christian Arab character. The Committee criticized the passive attitude of Arabs and Muslims toward the Israeli Judaization’s systematic plans that could encourage Israeli greed in the area. BETHLEHEM — The Israeli occupation forces (IOF) arrested at dawn on Saturday, a Palestinian football player from the Gaza Strip, who plays with Jerusalem’s Mount Scopus. The occupation arrested the football player Ibrahim Wadi at Container checkpoint near Bethlehem in the southern West Bank while returning from a Football match in the city of Jenin northern West Bank, Amjad Jaffal, an official in the Mount Scopus club told Quds Press. Jaffal stated that the Israeli soldiers detained a number of Football players and administrators, early Saturday morning, before being released and arrested the player Wadi, informing him that he will be deported to the Gaza Strip, noting that it was not known yet if he is already deported or still detained. 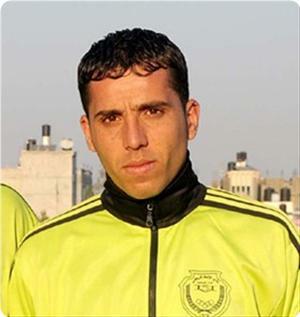 It is noted that the occupation prevents Palestinian players from the Gaza Strip from joining sports teams in the West Bank, where many of them were arrested and deported to Gaza, such as Mahmoud Sarsak, who tried to travel to the West Bank to join the national football team, and was detained administratively without charge or trial, and fought a hunger strike which lasted more than three months to be released to the Gaza Strip.